Celebrating its 10th anniversary, AdaptiGroup LLC is honored to offer its superior supplemental MBE program to law school students and attorneys in over 45 countries. It all started back in 2003. Now Founder and CEO Tarek Fadel was, at the time, an IIT Chicago-Kent College of Law graduate preparing to take the Bar Exam and enrolled in a traditional comprehensive review course. Unsatisfied with the Multistate Bar Exam (MBE) preparation this course provided, Tarek wanted something better that was online and more advanced. Determined to find a better way to study, he withdrew from the July 2003 Bar Exam and decided to put his bar success in his own hands. Expanding on an idea he came up with while studying he developed an online program with innovative software that efficiently adapts to each user’s individual study needs, something that no other bar prep course provided at the time. Thus, AdaptiBar Online MBE Simulator and Prep was born, forever changing the way law students worldwide prepare for the MBE. Thanks to AdaptiBar, Tarek Fadel went into the February 2005 Bar Exam with complete confidence and was able to pass on his first try. With the program’s sophisticated ability to quickly attack your weakest areas, he was able to both efficiently prepare for the exam and get his new company on its feet at the same time. Today, thousands of bar examinees worldwide let AdaptiBar take care of their MBE preparation needs with great success. AdaptiBar is the only exam prep provider to combine patented adaptive technology with a database of over 1,500 fully licensed MBE questions. 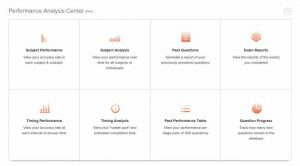 The program constantly assesses the user’s performance and automatically adjusts the presentation of questions to focus on their weaknesses, allowing for the most efficient and effective use of study time. By using only licensed authentic questions written by the National Conference of Bar Examiners (NBCE), the organization that writes the MBE, AdaptiBar is the “real deal” delivering students the best representation of what they will see come exam day. For more testimonials, visit https://www.adaptibar.com/testimonials.aspx. As the application continuously monitors users’ performance in all examination subjects and subtopics and adapts to the individual’s needs, users are provided with instant feedback to help them accelerate the development of their test skills. Detailed subject performance and timing analysis graphs allow the user to not only see what their accuracy rate is in each area of law at any given time, but also how their accuracy has fluctuated throughout their preparation. AdaptiBar, an advanced diagnostic tool, allows students to accurately identify weaknesses and gauge their preparation effectiveness overtime, clearly pointing out which areas they need to study more in their outlines in order to make improvements. The timing analysis allows users to refine their internal timing by calculating how much more or less time they should be spending on each question, so timing is the last thing they have to worry about on exam day. AdaptiGroup LLC realizes the importance of keeping up to pace with the growing technological advancements, and is constantly coming up with new and innovative ideas to enhance the program. In 2010, several program updates were released including a free mobile site for practice on the go and over 850 online flashcards that provide a substantive review in all 6 MBE subjects. In April of 2013, AdaptiBar launched new performance data: statistics per question. With this information conveniently displayed in a sidebar next to the explanation, users can see their average accuracy rate for that particular question, as well as their optimal answer time and history of answers submitted in the past. Plus, this sidebar also includes performance for all AdaptiBar users combined, allowing users to benchmark their performance against state and national averages. Just in time for its 10th anniversary, AdaptiBar recently launched the newest addition to the MBE Simulator and Prep Program: Online Video Lectures. Presented by Professor and MBE Expert Jonathan Grossman, the online video lectures cover everything a user needs to know when preparing for the MBE while remaining clear and concise. They can be purchased by the bundle (includes all 6 subjects), by subject, or even on the individual subtopic level, allowing users to purchasing only the specific areas (e.g. Individual Rights) in which they need to review. AdaptiBar is the only bar provider to offer video lectures a la carte. Find more about the online video lectures here: https://www.adaptibar.com/video-lectures.aspx. Exciting new features are on the AdaptiBar Team’s agenda for 2014, starting with the launch of a native app for both iOS and Android devices. Launched in 2005, Law School Analytics™ was designed specifically for law school administrators, both deans and professors, to aid their students in bar preparation prior to graduation. AdaptiBar’s Law School Partnership Program allows deans and professors to analyze every aspect of their students’ subject performance and timing, both collectively and individually. With access to the performance data they need to predict how their students will perform on the MBE, they can adjust their curriculum accordingly. To date, dozens of law schools throughout the country have utilized AdaptiBar’s diagnostic and assessment testing services to increase their bar passage rates and, in turn, law school rankings. 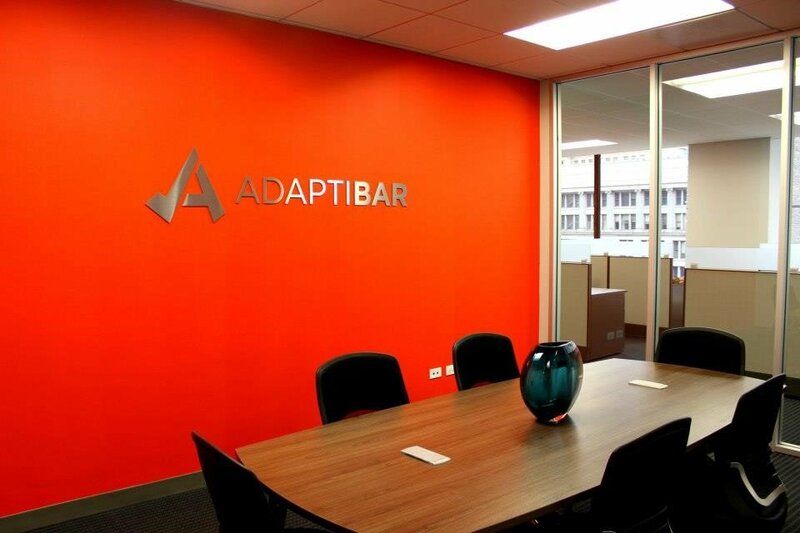 With a growing user base in place, AdaptiGroup LLC moved into its new home office in Chicago’s Central Loop in January 2013. A monumental milestone for the company, the expansion of its team allowed for the opportunity to support more law students and law schools.